The Rastafari movement (or "Rasta" for short) is a Jamaican religion that accepts Haile Selassie I, the former emperor of Ethiopia, as "Jah" (the Rasta name for God incarnate - a shortened form of Jehovah). The term Rastafari derives from "Ras (Duke or Chief) Tafari Makonnen," the pre-coronation name of Haile Selassie I, who, in the Rastafari view, is the promised Biblical messiah. The movement emerged in Jamaica in the early 1930s, among working-class black people. It arose from an interpretation of Biblical prophecy based on Selassie's status as the monarch of a fully independent state, and his titles of King of Kings, Lord of Lords, and Conquering Lion of Judah (Revelation 5:5). Other factors leading to its rise include the sacred use of cannabis, and various Afrocentric social and political aspirations, such as the teachings of Marcus Garvey (also often regarded as a prophet) whose political and cultural vision helped inspire the Rasta world view. The movement is called Rastafarianism by scholars, although some Rastafari themselves regard that term as improper and offensive (see below). Due to the loose organization of the Rastafari movement and occasional persecution of those belonging to it, precise statistics regarding the total number of adherents are difficult to ascertain. Estimated membership ranges from 100,000 to 700,000 (though the higher figure certainly includes Rastafari sympathizers, not members) , most of whom reside in Jamaica. The Rastafari movement was born in the 1930s amongst the disenfranchised black communities of Jamaica to protest the oppression (or "downpression," in Rastafari terms) of those descended from African slaves. It spoke of the desire for blacks to repatriate (not immigrate) to Africa. The movement encouraged black people to take pride in themselves and to embrace their African heritage. Leonard P. Howell (1898-1981) is often credited as being the first Rastafari. If a founder of Rastafari is named, then it is usually him. Howell's earliest social efforts sought justice for the rural poor of Jamaica. He was one of the earliest proponents of the African repatriation movement, and one of the first people to profess belief that Haile Selassie was God. However, he was later tried and imprisoned for a period for his views and for his work against the Jamaican aristocracy. Another figure who played an instrumental role in the formation of the Rastafari movement was Marcus Garvey (1887-1940). Most Rastafari see Garvey as a prophet—a second John the Baptist—and one of the most famous prophecies attributed to him involved his 1927 pronouncement "Look to Africa, for there a king shall be crowned"  allegedly alluding to the coronation of Haile Selassie I. Garvey promoted his cause of black pride throughout the twenties and thirties, and was particularly successful and influential among lower-class blacks in Jamaica and in rural communities. His philosophy fundamentally shaped the movement, and many of the early Rastafari started out as Garveyite. However, Garvey never identified himself with the Rastafari movement, and even wrote an article critical of Haile Selassie for leaving Ethiopia at the time of the Fascist occupation. In addition, he disagreed with Leonard Howell over Howell's teaching that Haile Selassie was the Messiah. Rastafari nonetheless has a strong connection to Garveyism. One belief that unites Rastafari is the idea that Ras (Prince) Tafari Makonnen, who was crowned Haile Selassie I, Emperor of Ethiopia on November 2nd, 1930, is the living God incarnate, called Jah, who is the black Messiah who will lead the world's peoples of African origin into a promised land of full emancipation and divine justice (although some groups within the Rastafari movement do not take this literally). This is partly because of his titles King of Kings, Lord of Lords and Conquering Lion of the Tribe of Judah. These titles match those of the Messiah mentioned in Revelation. Haile Selassie was, according to some traditions, the 225th in an unbroken line of Ethiopian monarchs descended from the Biblical King Solomon and the Queen of Sheba. Psalm 87:4-6 is also interpreted by Rastafari as predicting the coronation of Haile Selassie I. For Rastafari, Selassie I is their god and their king. They see Selassie as being worthy of worship, and as having stood with great dignity in front of the world's press and in front of representatives of many of the world's powerful nations. From the beginning the Rastafari decided that their personal loyalty lay with Selassie, and that they themselves were in effect free citizens of Ethiopia, loyal to its Emperor and devoted to its flag. Most Rastafari believe that Selassie is in some way a reincarnation of Jesus and that the Rastafari are the true Israelites. The Rastafari understanding of divine incarnation is not unlike the Hindu understanding of avatars - that God comes to earth in many forms (for example, according to the Rastafari movement: Elijah, Jesus of Nazareth, Haile Selassie) to speak and meet with his creation. Rastafari refer to Selassie as Jah, or Jah Rastafari, and believe there is great power in all these names ("Jah" is an abbreviation of the word Jehovah, an English transliteration of the tetragrammaton). They call themselves Rastafari to express the personal relationship each Rastafari has with Selassie I. Rastafari use the ordinal with the name Haile Selassie I, with the dynastic Roman numeral one signifying "the First" deliberately pronounced as the letter I. This is also a means of expressing a personal relationship with God. They also call Selassie H.I.M. (pronounced "him"), for His Imperial Majesty. Finally, it is important to take note that Selassie himself never publicly or privately expressed any belief that he was God. He remained a devout member of the Ethiopian Church his entire life, and thus considered the idea of his being God misguided. However, Selassie did sympathize with the movement, and did address their requests and needs often. The denial of divinity by Selassie did nothing to shake the faith of the Rastafari, who believed it was an expression of his humility and wisdom. His eventual death in 1975, though tragic to believers, did not affect the growth of the religion. His death was not accepted by some Rastafarians who did not believe that God incarnate could die. Some suggested that Selassie's death was a hoax, and that he will return to liberate his followers. Haile Selassie I met with several Rastafari elders in Addis Ababa (the capital of Ethiopia) in the 1950s, and had later allowed Rastafari and other people of African descent to settle on his personal land in Shashamane. However, very few Rastafari actually had the means to go to Ethiopia to meet with Selassie. His decision to visit Jamaica in the 1960s had a huge impact on the growth and wider social acceptance of the Rastafari movement. Haile Selassie visited Jamaica on April 21, 1966. At least one hundred thousand Rastafari from all over Jamaica descended on Kingston airport having heard that the man who they considered to be god was coming to their country. They waited at the airport, smoking cannabis and playing drums. When Haile Selassie arrived at the airport he delayed disembarking from the airplane for an hour until Mortimer Planner, a well-known Rastafari, personally welcomed him and assured him of his safety. The remainder of the visit was a success, with interaction between Selassie and the Rastafari. This visit did much to legitimize the Rastafari movement in Jamaica and brought international attention to the movement. It was during this visit that Selassie I famously told the Rastafari community leaders that they should not emigrate to Ethiopia until they had first liberated the people of Jamaica. This dictum came to be known as "liberation before repatriation." Haile Selassie's visit on April 21 is still celebrated among Rastas today as Grounation Day. Though highly revered by the Rastafari (and respected by many around the world), Selassie was eventually overthrown as monarch of Ethiopia in 1974, amidst accusations of corruption and incompetence, largely related to a famine crisis the year prior. In 1975 he died, apparently due to natural causes, though there is suspicion that he was murdered. Rastafari generally do not acknowledge his alleged corruption, and some do not accept the claim of his death. Rastafari is a strongly syncretic religion that draws extensively from the Bible. Adherents look particularly to the New Testament's Book of Revelation, to find supposed prophecies about Haile Selassie's alleged divinity (5:5). Rastas believe that they, and the rest of the black race, are descendants of the ancient twelve tribes of Israel, cast into captivity outside Africa by way of the slave trade. As the successors of the tribes of Israel, Rastas also place a great deal of emphasis on Hebrew Bible scriptures and prophets, such as Isaiah, Jeremiah, Ezekiel and Daniel. Rastafari are criticized, particularly by Christian groups, for taking Biblical quotes out of context, for picking and choosing what they want from the Bible, and for bringing elements into Rastafari that do not appear in the Bible. They are also criticized for using an English language translation (particularly the King James Version) of the Bible, as many have no interest in Hebrew or Greek scholarship. Rastas contend, however, that the Bible was incomplete, and those parts that have been recorded have been distorted to conceal the true identity and destiny of the Rastafari movement. A great interest in the Amharic Orthodox version of the Bible, authorized by Haile Selassie I in the 1950s, has arisen among Rastas. Selassie himself wrote in the preface to this version that "unless [one] accepts with clear conscience the Bible and its great Message, he cannot hope for salvation," confirming and coinciding with what the Rastafari themselves had been preaching since the beginning of the movement . Another popular (but not universally revered) work is the Holy Piby, written in the mid-1920s by Robert Athlyi Rogers. The work itself predates the Rastafari movement, but contains themes and references to important Rastafari ideas, and makes reference to important pre-Rastafari people such as Marcus Garvey. Some Rastafari recognize the Ethiopian national epic the Kebra Negast, which explains the lineage of the Ethiopian monarchy, as another important work. Others reject all written scripture, claiming the only good and true knowledge comes from the minds of humans, especially Rastafari. Though there are major ideas present in all forms of Rastafari, the tradition is highly decentralized. Subjective, individual understanding and interpretation of Rastafari truths is the preferred norm. One of the defining features of the Rastafari movement is its Afrocentrism. The community understands Afrocentrism to be manifested in a "natural" approach to life where living close to nature was seen as quintessentially African. Thus, practices such as wearing dreadlocks, cannabis use, and a vegetarian diet became important aspects of the "natural" Rastafari lifestyle. Correspondingly, Rastas developed a disdain for modern consumer object-oriented culture. Another important Afrocentric identification is with the colors green, gold, and red, from the Ethiopian flag. These colors are a symbol of the Rastafari movement and of the loyalty Rastafari feel toward Haile Selassie, Ethiopia, and Africa, rather than for any other modern state where they happen to live. These colors are frequently seen on clothing and other decorations. Red stands for the blood of martyrs, green stands for the vegetation of Africa, while gold stands for the wealth and prosperity Africa has to offer (or wealth denied to Africans brought into slavery). Many Rastafari learn Amharic, the language of Ethiopia, which they consider to be the original language, because this is the language Haile Selassie I spoke, as well as to identify themselves as Ethiopian - though in practice, most Rastafari continue to speak either English or their native languages. Music drawn from the Rastafari tradition is sometimes written in Amharic. Some Rastafari choose to classify their religion as Ethiopian Orthodox Christianity or Judaism. Of these, the ties to the Ethiopian Church are the most widespread, although this is controversial to many Ethiopian clergy. The ties to the Ethiopian Church are strong due to Haile Selassie's dedicated involvement with that church - an involvement he maintained his entire life, and encouraged amongst his citizens. Identification with Judaism stems from belief that Ethiopians are members of the Twelve Tribes of Israel. Rastafari that do recognize either of these traditions as their own religion often maintain that the Rastafari movement is an expression of these religions. Many Rastafari eat limited types of meat in accordance with the dietary Laws of the Old Testament - they do not eat seafood or pork. Others, who are undertaking the Nazirite vow, abstain from all meat and flesh whatsoever, as it is a violation of the oath. Many Rastafari maintain a vegan diet all of the time. In consequence, a rich alternative cuisine has developed in association with Rastafari tenets, eschewing most synthetic additives and preferring healthier, natural vegetables and fruits such as coconut and mango. This cuisine can be found throughout the Caribbean and in some restaurants throughout the western world. Some Rastafari elders are known to be highly expert in exactly what vegetables are rich in potassium and all other elements required for maintenance of good health. For many Rastafari, smoking cannabis (known as ganja or herb) is a spiritual act, often accompanied by Bible study; they consider it a sacrament that cleans the body and mind, exalts the consciousness, facilitates peacefulness, and brings them closer to Jah. Many believe that cannabis originated in Africa, and that it is a part of their African culture that they are reclaiming. It is also said that cannabis was the first plant to grow on King Solomon's grave. Usage of alcohol is generally deemed unhealthy to the Rastafari way of life, and is contrasted with ganja, which does not confuse the mind or incite violence as alcohol can. Alcohol is thought to be a tool of Babylon and alien to African tradition. Rastas are not surprised that cannabis is illegal in most countries because the Babylon system, they reason, clearly does not want a powerful substance that opens people's minds to the truth. While there is a clear belief in the beneficial qualities of cannabis, it is not compulsory to use it, and there are Rastafari who do not do so. Additionally, Rastas believe that the smoking of cannabis has Biblical sanction and is an aid to meditation and religious observance. Genesis 3:18 "… thou shalt eat the herb of the field." Proverbs 15:17 "Better is a dinner of herbs where love is, than a stalled ox and hatred therewith." Psalms 104:14 "He causeth the grass to grow for the cattle, and herb for the service of man." 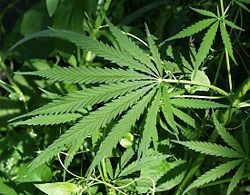 Critics of the practice of using cannabis suggest these passages are taken out of context, or do not refer specifically to ganja. Rastafari culture does not encourage mainstream political involvement. In fact, in the early stages of the movement most Rastas did not vote, out of principle. In the formative years this stance had little impact; however, by the 1970s, politicians were actively seeking support from the Rastafari community, due to their growing size and acceptance. Rastafari reject "-isms" - they see a wide range of "isms and schisms" in modern society and want no part in them (for example, communism and capitalism). They especially reject the word Rastafarianism, because they see themselves as having transcended "isms and schisms." This has created some conflict between Rastafari and some members of the academic community studying the Rastafari phenomenon, who insist on calling this religious belief Rastafarianism, in spite of the disapproval this generates within the Rastafari movement. Nevertheless, the practice continues among some scholars, likely because it fits their academic standards of use. However, much as academics now refer to "Eskimos" as "Inuit" and "Lapps" as "Sami," the study of the Rastafari movement using its own terms may be gaining acceptance. There are two types of Rastafari religious ceremonies - reasonings and grounations. A reasoning is a simple event where the Rastafari gather, smoke ganja, and discuss ethical, social and religious issues. The person (sometimes called the leading brother) honored by being allowed to light the herb says a short prayer beforehand, and it is always passed in a clockwise fashion. Reasonings usually have a lookout and are held in private homes, due to the illegal use of cannabis. A grounation (a portmanteau of "ground" and "foundation") is a holy day, celebrated with dancing, singing, feasting and the smoking of ganja, and can last until dawn. These ceremonies most often take place in or near the home of a member of the Rastafari community, and are often outdoors. Modern Rastafari ceremonies are very informal but democratic events. April 21 - The anniversary of Emperor Haile Selassie I's visit to Jamaica. Also known as Grounation Day. Rastas believe that their original African languages were stolen from them when they were taken into captivity as part of the slave trade, and that English is an imposed colonial language. Their remedy for this situation has been the creation and modification of the vocabulary of English, reflecting their desire to confront the society they call Babylon. Thus many words used to describe spiritual practice and ideas in the Rastafari movement are not easily understood by outsiders. Examples include "I-tal" and "grounation," describing diet and a type of celebration in the Rastafari community. The first person singular pronoun "I" is used in many Rastafari words ("I-and-I," "I-tal," etc.) as an expression of unity between members of the community, and between the faithful and Jah. Another common term found in Rastafari language is "Babylon," which makes allusion to the Babylonian exile of the Jewish people in the sixth century B.C.E. The Rastafari liken the injustice of slavery imposed on their ancestors to the captivity in the Hebrew Bible. However, in Rastafari usage, Babylon refers to the current power structure, specifically the United Kingdom, the United States of America, the wealthy of Jamaica, and the Christian church. During ceremonies hymns are often sung, though words may be changed to reflect a Rastafari attitude. The popular ska and reggae music styles were both born from the Rastafari movement, and in general are embraced by most Rastafari (though some reject the more secularized, commercial trends in popular music). It is through reggae music that the Rastafari movement is best known outside of Jamaica. The wearing of dreadlocks is very closely associated with the movement, though not universal among (or exclusive to) its adherents. Rastafari believe dreadlocks to be supported by Leviticus 21:5 ("They shall not make baldness upon their head, neither shall they shave off the corner of their beard, nor make any cuttings in the flesh.") and the Nazarite vow in Numbers 6:5 ("All the days of the vow of his separation there shall no razor come upon his head: until the days be fulfilled, in the which he separateth himself unto the Lord, he shall be holy, and shall let the locks of the hair of his head grow."). The length of a Rastafari's dreads is a measure of wisdom, maturity, and knowledge in that it can indicate not only the Rastafari's age, but also his time as a Rastafari. According to the Bible, Samson was a Nazarite who had "seven locks." Rastafari point out that these "seven locks" could only have been dreadlocks, as it is unlikely to refer to seven strands of hair. Dreadlocks have also come to symbolize the Lion of Judah and rebellion against Babylon. 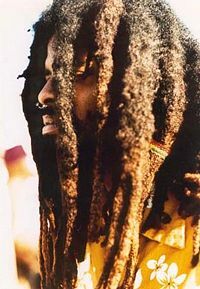 Many non-Rastafari of black African descent have also adopted dreads as an expression of pride in their ethnic identity, or simply as a hairstyle, and take a less purist approach to developing and grooming them, adding various substances such as beeswax in an attempt to assist the locking process. The wearing of dreads also has spread among people of other ethnicities who sometimes go to great lengths to form them. These artificially acquired dreads worn for stylish reasons are sometimes referred to as "bathroom locks," to distinguish them from the kind that are purely natural. Rastafari purists also sometimes refer to such "dreadlocked" individuals as "wolfs in sheep’s clothes," especially when they are seen as troublemakers who might potentially discredit or infiltrate Rastafari. Since the 1950s most of these ideas have undergone radical change. The most drastic change was the rejection of racist beliefs. Though Rastafari still recognize the injustice they and other Africans in the West Indies had suffered and continue to suffer, the beliefs in black superiority and white servitude have generally been replaced with beliefs in racial equality and harmony. This change was only strengthened by Haile Selassie I's own stance against racist beliefs. The early beliefs of the Rastafari movement suggest a strong emphasis on the present life, rather than the afterlife. The idea of Jamaica being Hell and Ethiopia being Heaven, however metaphorical, indicates that the Rastafari seek salvation in their present physical existence. The drive for repatriation decreased in later decades, due in part to Selassie's insistence that Rastafari stay to improve the situation in Jamaica (though in 1955 land in Ethiopia was dedicated to Rastafari settlement by Selassie). By the end of the 20th century, women had become more important in the functioning of the Rastafari movement. In the early years, menstruating women were often subordinated to their husbands and excluded from religious and social ceremonies. These restrictions have relaxed and to a large degree, women feel more freedom to express themselves now. Rastafari is not a highly organized religion. In fact, some Rastas say that it is not a "religion" at all, but a "way of life." Today, many Rastas are not just Black African, but are as diverse a crowd as White, Maori, Indonesian, etc. Some scholars see Rastafari as a new religious movement that has arisen from Christianity, much as Christianity arose from Judaism. Reflecting its decentralized nature, three prominent movements have arisen within Rastafari: the Nyahbinghi, the Bobo Shanti and the Twelve Tribes of Israel. The Nyahbinghi are the oldest of the three major Rastafari developments. An increased emphasis (beyond that of even other Rastafari) is placed on African heritage and Ethiopian repatriation in this tradition, which takes its name from a Ugandan queen Nyahbinghi, who is seen as a symbol of resistance against colonialism. The Bobo Shanti group was founded by Charles Edwards (later King Emmanuel Charles Edwards) in 1958, who is also regarded as the High Priest of that community, and a member of the Holy Trinity (alongside Marcus Garvey and Haile Selassie I). They live in isolated communities, and are visually recognizable by their turbans and robes. The Twelve Tribes of Israel is a more liberal, international group, begun in 1968 by Vernon Carrington. Though born and centered in Jamaica, this movement has moved beyond those borders, and places emphasis on the liberation and salvation of all ethnic groups. Barrett, Leonard E. The Rastafarians: A Study in Messianic Cultism in Jamaica. Institute of Caribbean Studies, 1968. Text of the Holy Piby Robert Athlyi Rogers www.sacred-texts.com. Text of the Kebra Negast.www.sacred-texts.com.